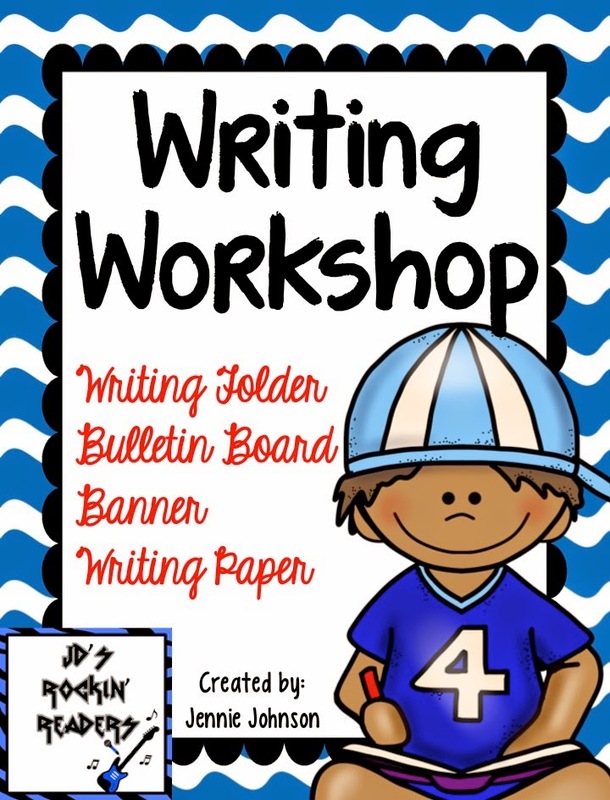 Teaching Blog Round Up: Writing Workshop FREEBIES! Hi friends! It's great to be back here! I've been super busy (as you all are too) and haven't had much time to blog. I thought I would share with you today a little about how I run my writing workshop. 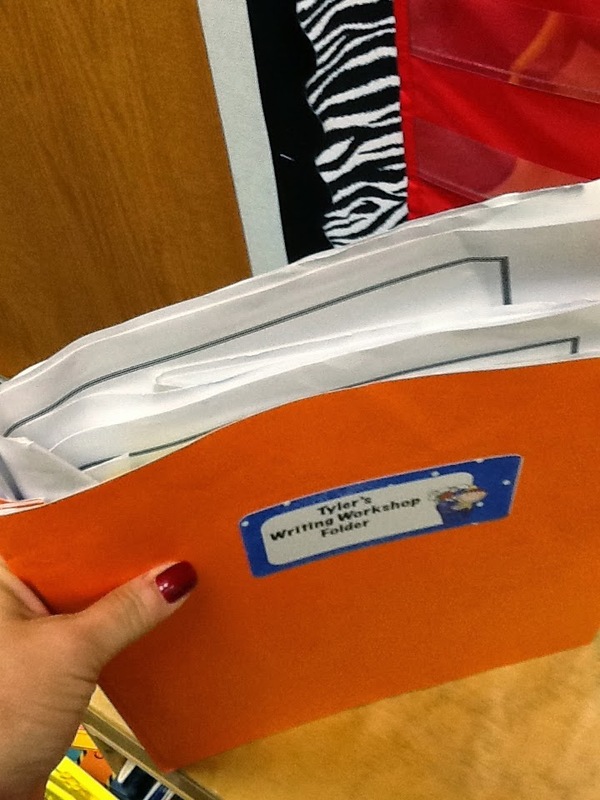 I used to HATE teaching writing! I really felt that I just wasn't any good at it. Well, many years ago, I had the luxury of having a Literacy Coach in my school and because of her, I learned a lot about teaching writing. Now- I LOVE it! I have realized that the biggest part of teaching writing is establishing good routines right from the start and making sure that the kids feel like real Authors and Illustrators. We have done that- and for the 45 minutes of daily writing workshop we have a nice peaceful classroom. The best part is- the kids are loving it! On Friday, we spent some time going through our folders. 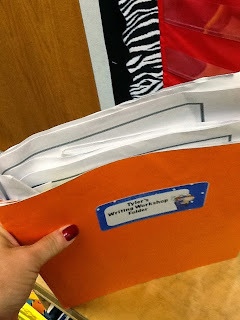 I already have folders that are packed full of writing and we are only 16 days into the year. So, we cleaned out. I had the students take home all of their writing except for their "best" story. I plan on doing this every Friday (or maybe every other Friday). This is my folder from last year. This year, I made some new ones that I am really liking so far!! I always worry about sending the students writing home. I worry that parents are going to have the students "fix" all of the errors. I don't want them to do that. 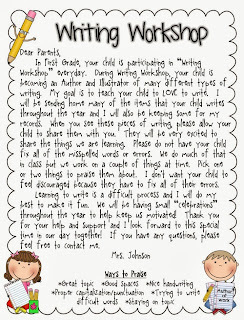 I want them to feel successful as writers, even if they do have a lot to work on. So, I sent a letter home. I am sharing it with you. It is editable so you can change whatever you want. Also, the font I have used is from Kevin and Amanda. It is called A Little Pot. You can download the font for free or change it to whatever font you want. Now, you may be wondering... How can you send so many writing samples home? Don't you need them to do grade cards? The answer to this question is NO- because of a great website/APP that I found. I couldn't be more excited right now! Let me share- it is called Evernote... and it is going to make my Writing Conferences so easy! In Evernote, you can make different Notebooks. I made a notebook for each student. Then, inside their notebook, you can make notes. I make a new note every time I conference with a student. I write the date as the Title. Then, before conferencing (and fixing up their writing) I take a quick picture of it. It shows up immediately in the note and then I can conference and document what we talked about. 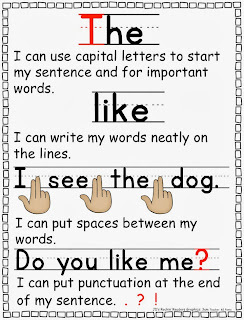 My plan, is to then be able to quickly and easily look at their writing when I am doing grade cards. I won't have to take mounds of paperwork home and if they take a story home because they want it- it's no big deal because I have access to it at any time! And... the best part is, it's a free app! (They do have a Premium App also but I haven't checked it out enough to know what the difference is). 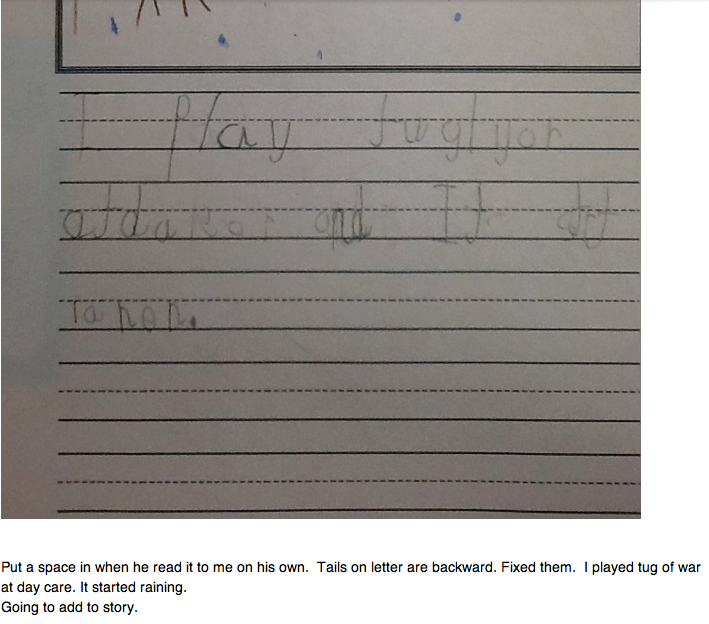 Here is a screen shot of one of the writing samples. Sorry, I had to cut off the picture. As you can see, I made my notes after the picture. I think the possibilities are endless with this APP and I am really excited to give it a try and see what all I can do with it. One other freebie I have to share with you today. 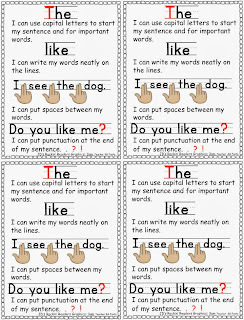 I have a Writing Freebie that helps students to remember some of the mechanics of writing. I have had this as a D'Nealian Font but have had several requests for a Print (ZB) Font. So, here it is! I hope you enjoy these freebies!